If you haven’t noticed by now, I love quotes and I love a good meme or two. 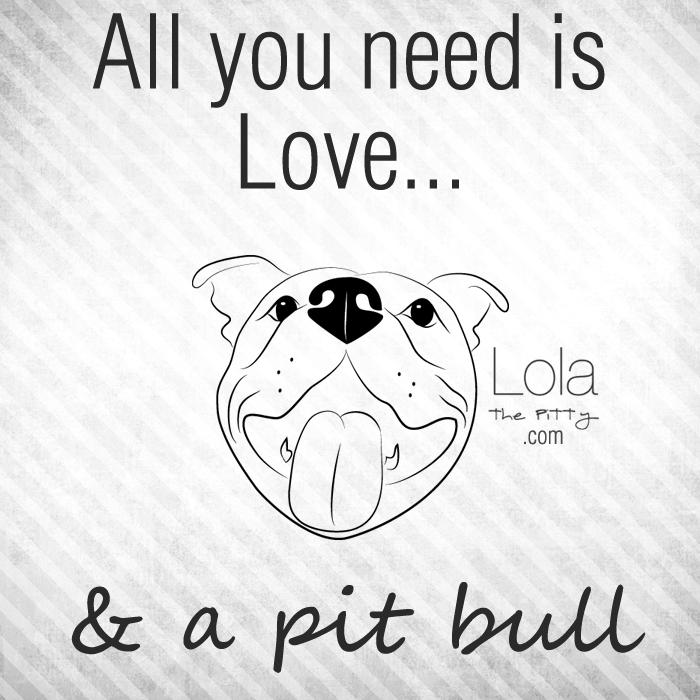 So you may see your fair share of both if you follow Lola the Pitty on Facebook. I’ve always loved the, ‘All you need is love’ quotes and I thought my own little addition was a very fitting ending. Link up to Dachshund Nola and Sugar The Golden Retriever to share your Black & White Sunday. Love it 🙂 Very cute and very true!